I took a well-deserved break the other evening and went to a movie. I picked Jack Reacher, Never Go Back as my two hours of entertainment. The problem, and one I should have anticipated, was that once I’d seen the movie I needed to read the book. How did it compare, what changes were made (other than the obvious ones…. how tall is Reacher?). Fortunately (deep irony here), when I went to my book shelf there it was – Lee Child’s Never Go Back in hardcover splendor. I have a lot of books that I’ve bought and not had a chance to read, so there is no shame in an unbroken spine. I thought I’d take a peek at the first chapter or so and get a sense of the difference between movie and manuscript, then get back to work on my own manuscript. It takes me around a minute to read one page of a novel. That’s over four hours to read Never Go Back. In one big chunk of time. I’ll skip the obvious, clearly I enjoyed it. What struck me is how much of Reacher is internal. Jack Reacher the quintessential action hero is actually the quintessential cerebral action hero. How does that translate on screen? How do you show Reacher weighing all of his options and trying to get the bad guy to back down unharmed? Reacher is a loner and loners aren’t the most loquacious people. How do you translate that into film without it becoming a silent picture? Anytime I read I feel like I’m taking a personal master class in writing. 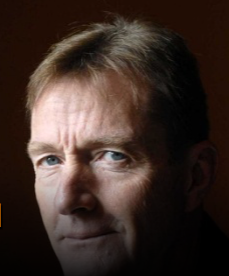 With Lee Child it is a master class in picking the exact level of detail to incorporate. In an interview he once said that he skips research. He wants to write what will feel familiar to the reader. If the reader expects the gun to be heavy why interrupt their immersion in the story to explain that ‘technically the xyz revolver is lighter than most in the same category.’ Who cares! At that point in the story, with the gun pointed, all the reader should care about it What Happens Next. Child knows this. Maybe a little of his talent and skill will rub off on me as I re-read my own draft, trying to gauge the details needed for my reader to feel the place. Really feel it. I undergo serial reading more often that I’d like to admit. (A real confession here…. a bit embarrassing… I was on a long flight last week and read three Jack Reacher novels in a row. Yep. In a row. It was like eating a whole bag of candy at Halloween. I blame this on e-books which allow instant gratification. I also blame this on the airline. There was not one single good movie to watch.) Back to the point. Reading a clump of books by one author is instructive. If they have a continuing character you see very clearly how they capture that introduction each time. How much description and backstory is enough? How much does it vary? You judge what the author keeps as part of their style and what is unique to the story being told in that particular book. How do these authors keep us coming back? We want familiarity, but not imitation. In Lee Child’s Never Go Back the story was comfortingly expected, yet fresh. Of course, in the end, I have to remember that I read that last Reacher novel when I should have been writing. Maybe Lee Child will offer a few hours of his time to make up for my writing jag? Writing for me, of course. Or maybe I should count the debt paid, since I certainly learned enough from my read to justify those few hours immersed in someone else’s world. Thank you, Mr. Child.